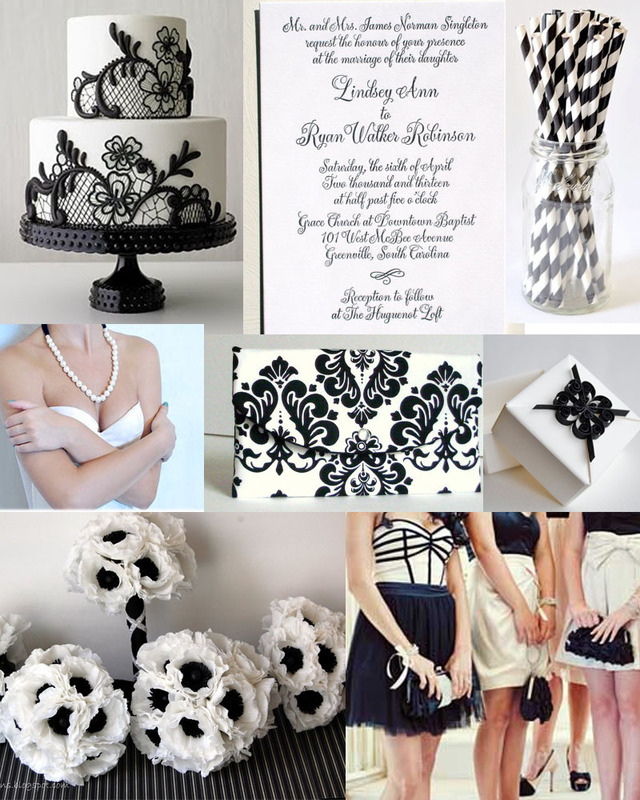 It’s been a while since I out together a color inspiration board for a classic black and white wedding. See my last black and white inspiration board here. I hope you enjoy this group of elegant items. The letterpress invitation is of course designed by me!